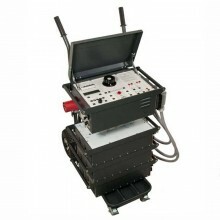 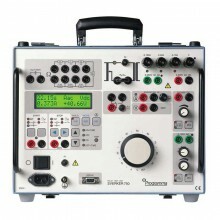 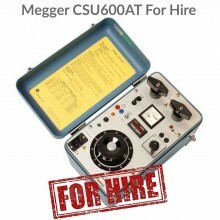 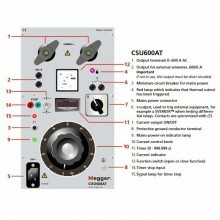 Includes: Test lead set, IP65 HD-case & Megger Sverker750 operating instructions. 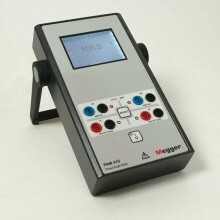 Megger’s SVERKER 750 HD protection relay test set comes built into a rugged protective case that makes it even easier and more convenient to store, transport and use. 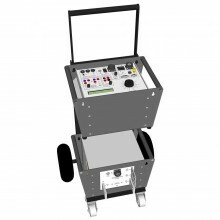 The case, which is constructed entirely from non-conductive materials, incorporates a robust hinged carrying handle, and is also fitted with an second extendable handle and wheels, allowing it to be moved around easily and with a minimum of effort. 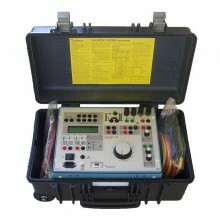 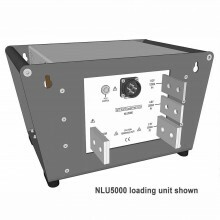 To allow unimpeded access to the instrument, the lid of the case can be removed completely and, as a further aid to convenience, provision is made within the case for the storage of test leads. 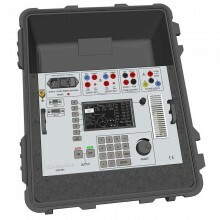 When closed, the new case has an IP67 ingress protection rating to safeguard the instrument against damage by water, dust or other contaminants while it is being stored or transported. 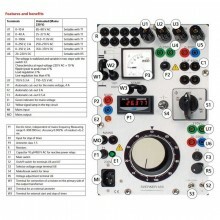 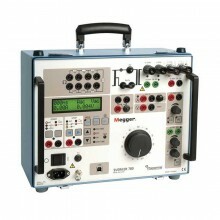 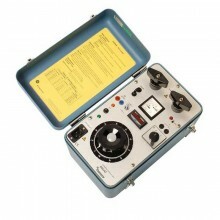 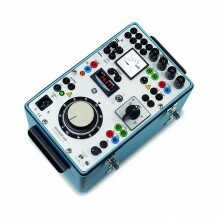 The Megger Sverker 750 Relay Test Set is the engineer's toolbox. 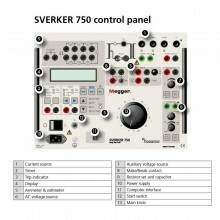 The control panel features a logical layout, SVERKER 650 users will find it comfortably familiar and will be able to start work right away. 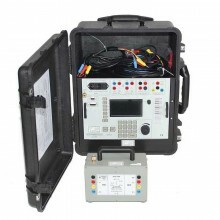 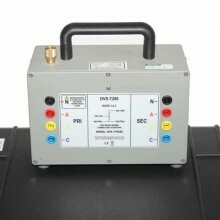 The Programma Sverker 750 features many functions that make relay testing more efficient. 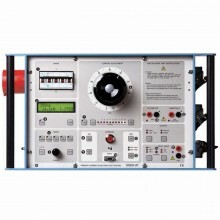 For example, its powerful measurement section can display (in addition to time, voltage and current) Z, R, X, S, P, Q, phase angle and cos. 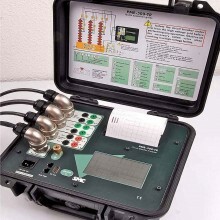 The voltmeter can also be used as a 2nd ammeter (when testing differential relays for example). 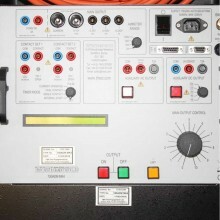 All values are presented on a single easy-to-read display. 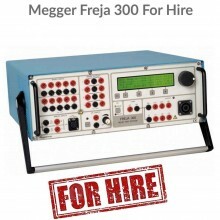 The current source built into the Sverker750 can provide 0-10A, 0-40A, 0-100A, 0-250V AC or 0-300V DC. 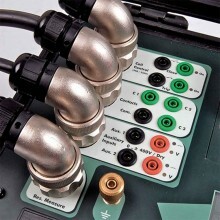 Designed to comply with EU standards and other personal and operational safety standards, the SVERKER750 is also equipped with a serial port for communication with personal computers and the PC software SVERKER Win. 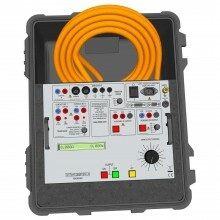 Distance protection equipment (phase by phase). 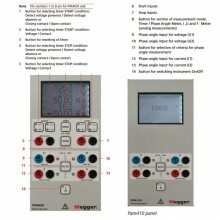 Both ranges are divided into voltage steps of 10V that are steplessly variable. 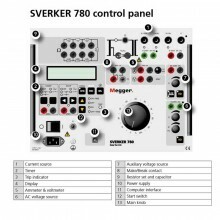 Sverker 750 warranty 1 year.